After making headlines for the wrong reasons earlier this year, Strava is hoping its new membership plan will create some positive buzz for the popular social fitness app. Strava Premium is being replaced by Summit, a customizable model with three different packs. Users can mix and match the Training, Safety, and Analysis Packs as they see fit, with each costing $23.99 for a whole year or $2.99 per month. You can get all three together for an annual fee of $59.99 or $7.99 monthly. Training Pack: Includes live performance data, custom goals, race analysis, training plans, filtered leaderboards, segment efforts, summit support, and summit perks. Analysis Pack: Includes workout analysis, fitness and freshness, live segments, power analysis, relative effort, summit support, and summit perks. 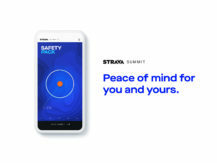 Safety Pack: Includes Beacon, personal heatmaps, summit support, and summit perks. 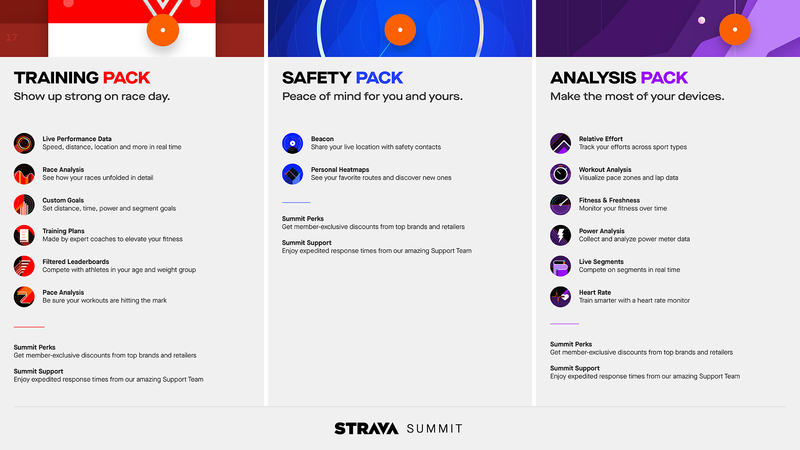 Whether you go for just one pack or more, Summit comes with dedicated support, regular discounts, and other perks from Strava partners. The new membership model comes into effect immediately, with current Premium subscribers getting all three packs with all the features they are already accustomed to until the end of their billing period when they can choose to switch things up. SAN FRANCISCO - August 1, 2018 - Every athlete has a goal to strive for and a summit to reach. 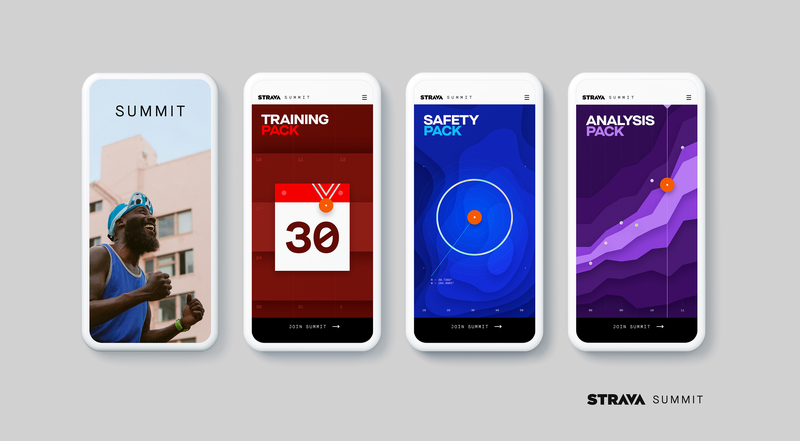 Whether it’s getting fit, training for a 5K, completing a century ride or feeling safer while out for a run, Strava’s new membership service Summit provides the tools to meet any goal. Summit replaces Strava Premium to deliver greater value to a broader range of athletes with more focused membership programs. With Training, Safety and Analysis Packs available as an all-inclusive bundle or à la carte, Summit better serves the specific needs of athletes everywhere as they strive to reach their goals. Summit’s Training Pack provides all the tools and insights athletes need to train smarter. The Analysis Pack allows a deep dive into performance data from connected devices. 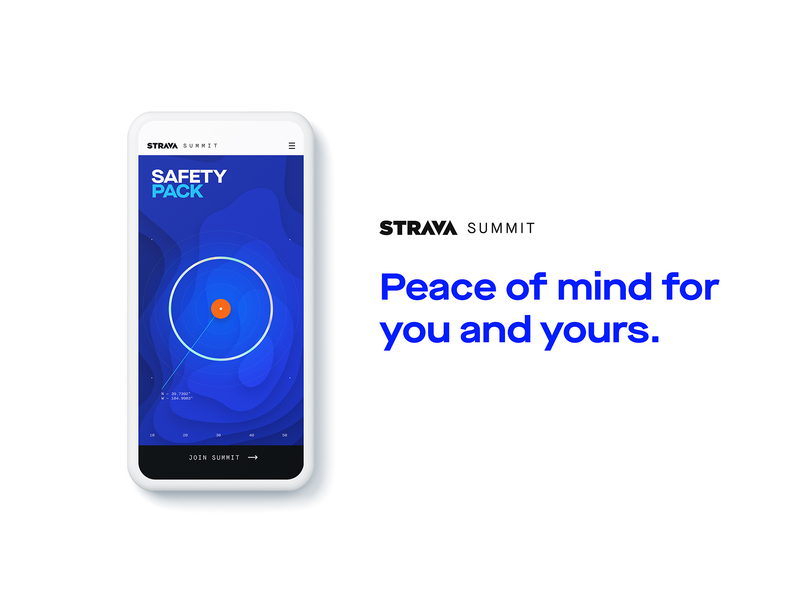 The Safety Pack enables exploration of new roads and trails with peace of mind and added security from Beacon, a real-time tracking tool for athletes to privately share their location with select friends and family. Focused on goal setting and metrics, the Training Pack is suited for all types of athletes, whether preparing for a race or just getting in better shape. 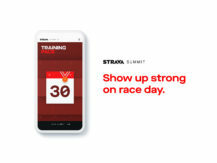 Features include Training Plans; Real-Time GPS Tracking for smartphones; Custom Goals by time, distance, power or segment to stay motivated; Race Analysis to break down pace fluctuations and splits; Filtered Leaderboards by age and weight; and breakdowns of KOM and PR attempts on athletes' favorite Strava segments. 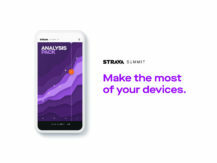 Right out of the app store, Strava already works with all GPS devices and all heart-rate monitors and power meters with Bluetooth LE, and the Analysis Pack allows members to get the most out of any device they connect to Strava. Detailed insights include Workout Analysis to visualize pace zones and lap data for workouts; Fitness and Freshness to assess the impact of workouts over time and track whether it’s time to race or rest; Live Segments to compete against personal best efforts or others in real time; Power Analysis to decode power meter data and assess performance and fitness; and Relative Effort to help athletes train consistently and stay in the sweet spot for safely building fitness. The Safety Pack helps members plan adventures on (or off) well-traveled routes, enjoy unique visualizations with Personal Heatmaps and stay safe while exploring. With Beacon, Summit members select safety contacts who get to see where they are during an activity in real time on a map – and if they're running late because they're still hanging out at the coffee shop or because they're stuck on the side of the road and need help. Whether an athlete chooses one Summit Pack or all of them, each member is a full-fledged, bonafide Summit athlete. Every Summit athlete gets expedited assistance from Strava's dedicated Support Team and white-hot discounts and other Summit Perks from Strava's partners and industry friends. 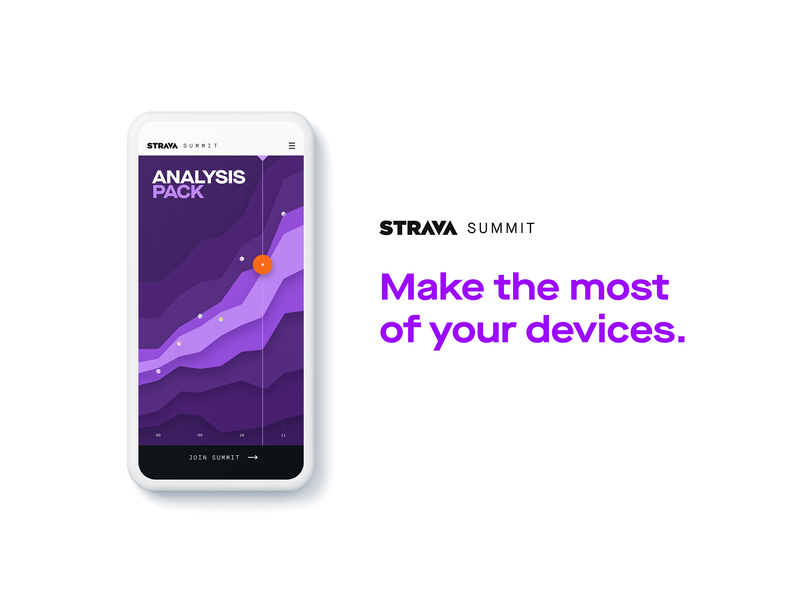 Annual Strava Summit memberships offer significant savings whether choosing all three packs ($59.99) or an individual pack ($23.99), while monthly memberships provide flexibility to try a single pack ($2.99) or the full menu ($7.99). Existing Strava Premium athletes retain access to all the advanced features they love at their current price. Strava, the social network for athletes, boasts more than 32 million users in 195 countries. The company will add 50 new full-time employees by the end of 2018, including a country manager to lead growth efforts in Japan, joining country managers supervising the US, UK, Spain, Germany, France and Brazil. In January, Strava opened a new office in Denver, Colorado and this summer relocated its San Francisco, California headquarters to a larger space in the Potrero Hill neighborhood. For more information about Strava Summit, visit www.strava.com/summit.